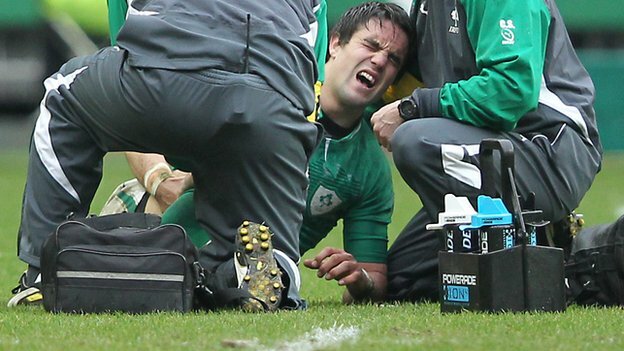 Ireland captain Paul O'Connell and scrum half Conor Murray will miss the remainder of the RBS 6 Nations because of injury. The pair picked up injuries in the 17-17 draw with France at the weekend and will miss the rest of the tournament. O'Connell twisted his left knee during the draw with France and scans have now revealed the Ireland captain has suffered medial collateral ligament damage, which could see him ruled out for up to six weeks.